I love a good salon facial but for the most part doing face masks at home seems more convenient. I usually stick to natural ingredients like this Dewy Skin Mask, which is what drew me to the new sheet masks from Sephora. I wasn’t drinking enough water last week and my face got pretty dry and flaky, so I used the Rose Sephora Face Mask and it instantly rehydrated my skin. The masks smell amazing and are completely mess-free, which I love! 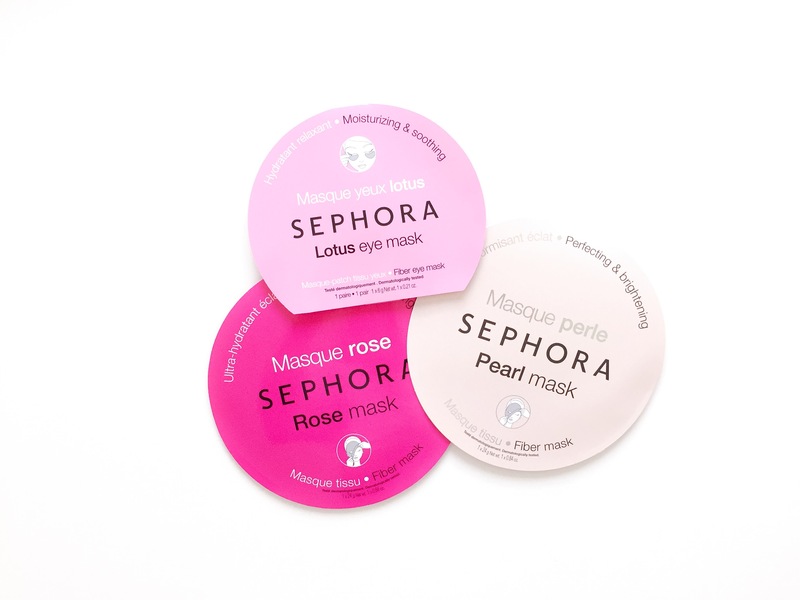 I’ve tried a couple of the eye masks as well, and although I’d like to tell you they will make your dark circles disappear, that’s not really the case with any product I’ve ever tried. The ginseng and lotus eye masks were both great for brightening and tightening the eye area, giving that ‘good night’s rest’ appearance. Have you tried any sheet masks yet and if so, what are you favorites? I need to try these out! Im always on the hunt for a good face mask. Ive tried soooo many over the years and found none of them did anything over whelmingly as they said they were going to. I agree, I need to use multiple different products and masks to achieve the result I want. Let me know what you think if you try any of their masks. I love sheet masks, they make me feel pampered haha. I’ve been hearing more and more about the ones from Sephora, so I’ll have to give these a shot. I’m very interested about that Lotus eye mask, it looks so cool!